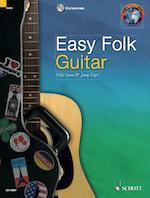 The Easy Folk Series launched in Spring 2016 is a series of six books put together by Vicki Swan & Jonny Dyer. The fiddle, recorder and flute versions all have downloadable piano accompaniment pdfs and play along mp3 files. The CD on the guitar and ukulele are beautifully presented ensembles. A perfect introduction to folk tunes from around the world. 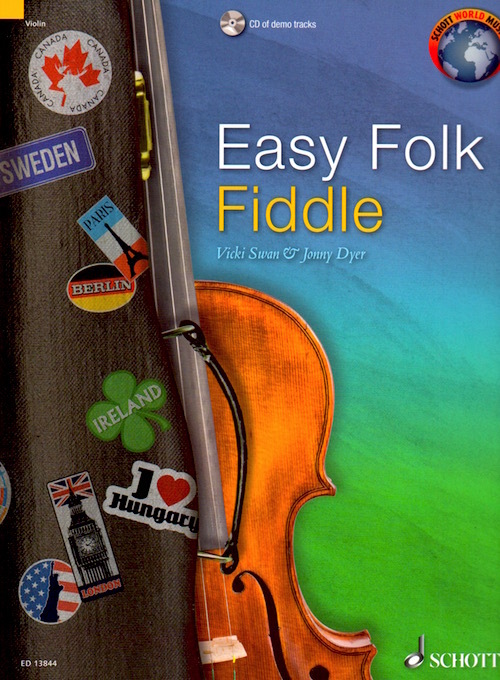 Compiled from titles across our popular World Music Series and edited by acclaimed folk musicians Vicki Swan and Jonny Dyer, this book features tunes from the British Isles to the USA, from Eastern Europe to Asia and beyond, arranged for solo fiddle with optional piano accompaniment.Ideal for beginner grades, Easy Folk Fiddle is a round-the-world ticket for musical inspiration. The title includes a CD of all tunes plus optional PDF piano accompaniments. 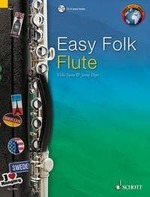 Compiled from titles across the popular World Music Series by Schott and edited by acclaimed folk musicians Vicki Swan and Jonny Dyer, this book features tunes from the British Isles to the USA, from Eastern Europe to Asia and beyond, arranged for solo flute with optional piano accompaniment.Ideal for beginner grades, Easy Folk Flute is a round-the-world ticket for musical inspiration. The title includes a CD of all tunes plus optional PDF piano accompaniments. 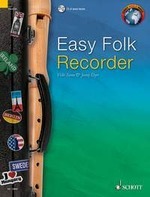 Compiled from titles across the popular World Music Series by Schott and edited by acclaimed folk musicians Vicki Swan and Jonny Dyer, this book features tunes from the British Isles to the USA, from Eastern Europe to Asia and beyond, arranged for solo recorder with optional piano accompaniment.Ideal for beginner grades, Easy Folk Recorder is a round-the-world ticket for musical inspiration. The title includes a CD of all tunes plus optional PDF piano accompaniments. 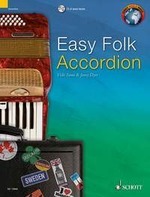 Compiled from titles across the popular World Music Series by Schott and edited by acclaimed folk musicians Vicki Swan and Jonny Dyer, this book features tunes for solo accordion from the British Isles to the USA, from Eastern Europe to Asia and beyond.Ideal for beginner grades, Easy Folk Accordion is a round-the-world ticket for musical inspiration. The title includes a CD of all tunes recorded. Compiled from titles across the popular World Music Series by Schott and edited by acclaimed folk musicians Vicki Swan and Jonny Dyer, this book features tunes for guitar from the British Isles to the USA, from Eastern Europe to Asia and beyond.Ideal for beginner grades, Easy Folk Guitar is a round-the-world ticket for musical inspiration. The title includes a CD of all tunes recorded. 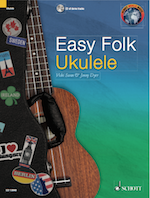 Compiled from titles across the popular World Music Series by Schott and edited by acclaimed folk musicians Vicki Swan and Jonny Dyer, this book features tunes for ukulele from the British Isles to the USA, from Eastern Europe to Asia and beyond.Ideal for beginner grades, Easy Folk Ukulele is a round-the-world ticket for musical inspiration. The title includes a CD of all tunes recorded.